A couple of months after the free battle royale game first launched, Respawn has released the first season’s Battle Pass. Here’s everything you need to know about how to get the Season 1 Battle Pass in Apex Legends and what it includes. Once you’ve downloaded the new update for Season 1, you will be able to jump in and purchase the Battle Pass. It will cost 950 Apex Coins, which can be bought from the Coins section of the store for about $10. You can also unlock the Battle Pass and the first 25 levels, which costs 2,800 Apex Coins. Once you have the Apex Coins, you can purchase the Battle Pass by scrolling along to the Battle Pass tab with R1/Rb (or using the cursor), then select the ‘Buy Premium Battle Pass’ option underneath the level on the left of the screen. You might need to buy Apex Coins, though, and you’ll be taken to do so automatically. Then, once you’ve confirmed the purchase, the options underneath the level will be replaced by the option to buy more tiers. 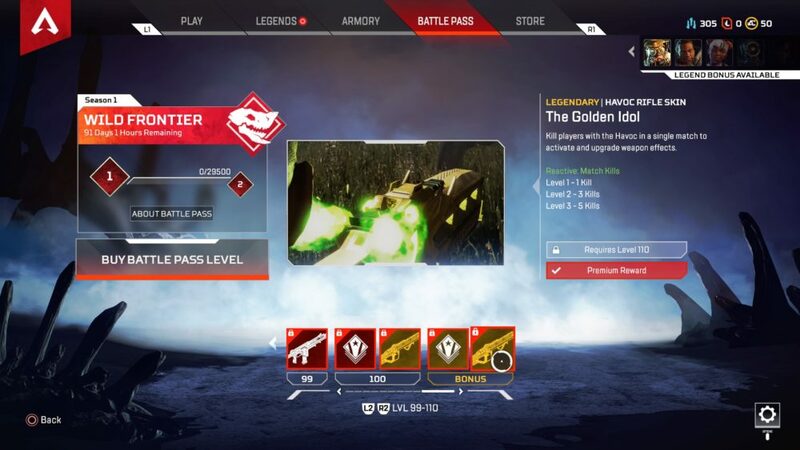 You can also across all tiers in the Apex Legends first season Battle Pass that are shown in the bottom of the screen by pressing L2/R2. You will level up by getting XP from playing. The Season 1 Pass features over 100 unique items for you to unlock by playing. You will unlock things like skins for weapons, frames, Apex Coins, Apex Packs, and more. That’s everything you need to know about how to get the Season 1 Battle Pass in Apex Legends and what it includes. 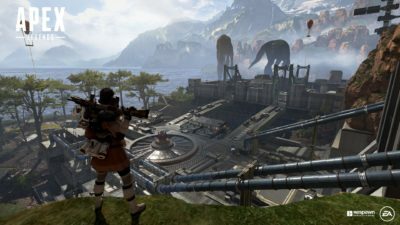 For more tips and tricks on the game, check out our Apex Legends Season 1 wiki guide or search for Twinfinite.